Winners. . . Top Gear of 2012! 1. 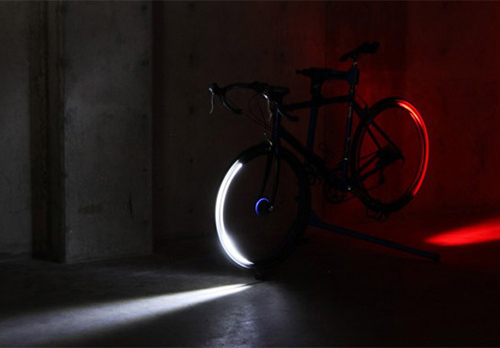 Revolutionary Bike Lights — A new concept, RevoLights give a rider 360 degrees of visibility at night with wheel-mounted L.E.D. lights. The lights are timed in sync via tiny magnets and an accelerometer unit on each wheel. The result is wheels that spin and magically produce white and red arcs that paint the road with laser-like beams in the night. $250. 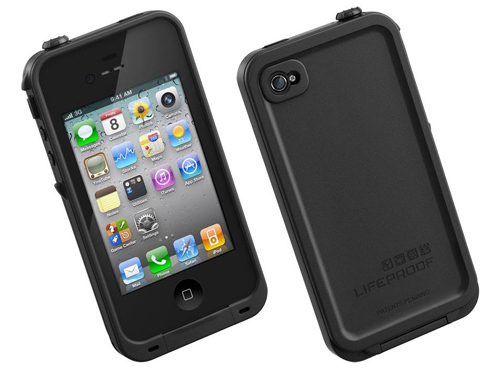 Go here for the full review on GearJunkie. 2. Power-Producing Cook Units — Two camp-oriented cooking products this year impressed with a side benefit beyond just boiling water. 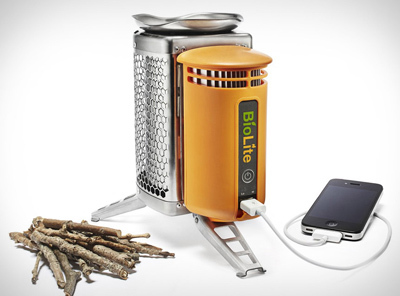 Both the BioLite stove ($129) and the PowerPot cook pot ($149) have integrated modules that turn heat from a fire into usable electricity that can then be pumped through a cord to recharge a device. Boil your water, recharge your GPS — that’s the reality with either of these unique new camping products. 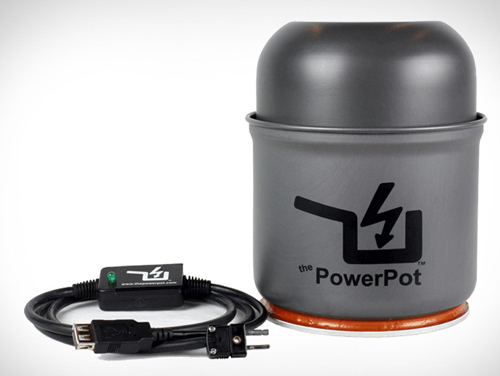 Go here for review on the PowerPot and here for the BioLite stove review. 4. Winter Bike Boots — No more cold feet. 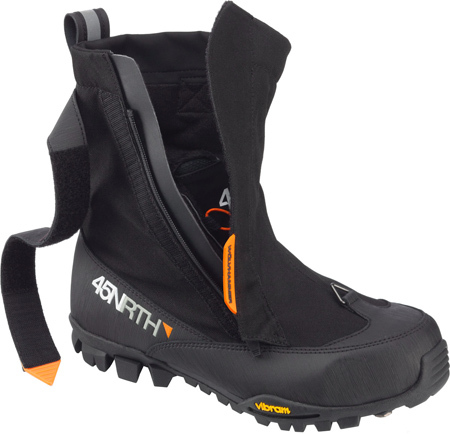 That’s the simple premise with the Wölvhammer, a clipless-compatible boot from the brand 45Nrth that is made for winter biking. It has Thinsulate insulation and a cold-blocking insole. The outers are a waterproof Cordura nylon, and on the bottom is a rugged Vibram sole more reminiscent of something used for mountaineering than riding a bike. $325. 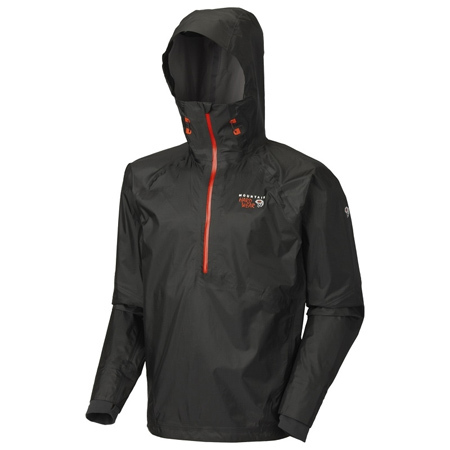 Go here for the full review on GearJunkie. 5. 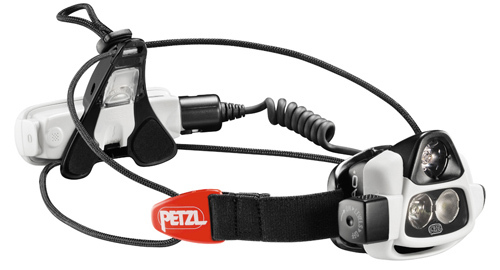 Self-Adjusting Light Source — The NAO headlamp from Petzl is a sensor-equipped light that “self-adjusts” its beam depending on your situation outdoors. Be it looking at a map where low light is needed or spot-lighting a distant object in the dark, the NAO adjusts automatically from 8 lumens to a blazing 355 lumens in a literal blink. $175. Go here for the full review on GearJunkie. 7. Best Water Filter on Market — Let gravity do the work. 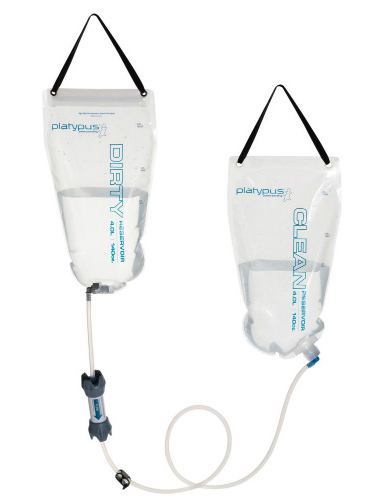 That’s the theme of the GravityWorks filter from Platypus, a water-purifying system with two bags, a hose, and a filter in between. You hang it up and let water drain from one bag to the next. We used the setup on a half-dozen wilderness trips this year. The no-fuss design gave quick, easy, and clean water from rivers and lakes. $110. Go here for the full review on GearJunkie. 8. Outdoor Audio — Made rugged with a rubberized exterior to handle camping trips (or wild children!) 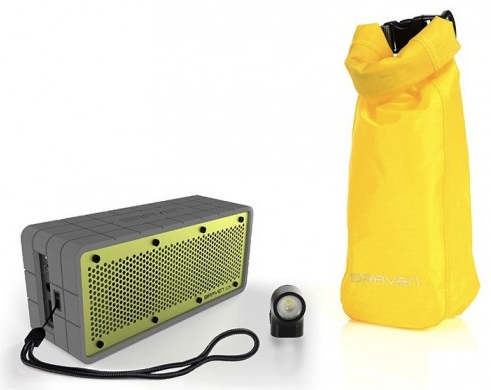 the Braven 625s Bluetooth Speaker lets you bring high-quality audio anywhere you go. Clear notes and solid bass come from the speaker, which syncs wirelessly with a smartphone or other device and runs for hours outdoors on a single charge. $180. Go here for the full review on GearJunkie. 9. 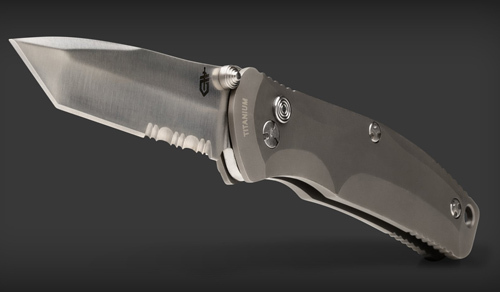 Ultimate Pocketknife — Start with a matte-textured, easy-to-grip titanium handle. Add a stainless steel, spring-activated blade that flips open with a thumb. The Gerber Venture has been our “everyday carry” knife of choice since its first slice in the GearJunkie office early last summer. From outdoor culinary tasks to curling strips for kindling off a log, the sleek and strong Venture has yet to disappoint. $74. Go here for the full review on GearJunkie. 10. Minimal Trail-Running Shoe — Lightweight trail shoes are not new. But the Salomon Sense proved a superior pair this year with a rare balance of protection and support, all while keeping a light, minimal feel on the foot. Weight is an insanely light 6.9 ounces (men’s size 9) but you do pay a premium for this primo trail shoe. $200. Go here for the full review on GearJunkie. —Stephen Regenold is founder and editor of GearJunkie. Contributors Sean McCoy, T.C. 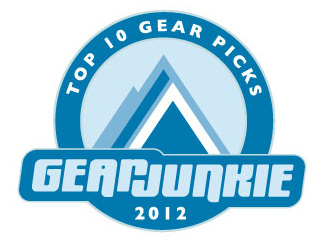 Worley, Jason Magness, Chelsey Magness, Tom Puzak, John Peacock, Patrick Murphy, and Amy Oberbroeckling tested, reviewed, and wrote for our annual ‘Top 10’ gear of the year awards.